Then there was this horrible, unnatural and just plain weird Hillary Clinton video in which she tells people “there’s a lot to fight for” and to “resist” Trump. …So WEIRD! How does she NOT know how to use her body correctly?! 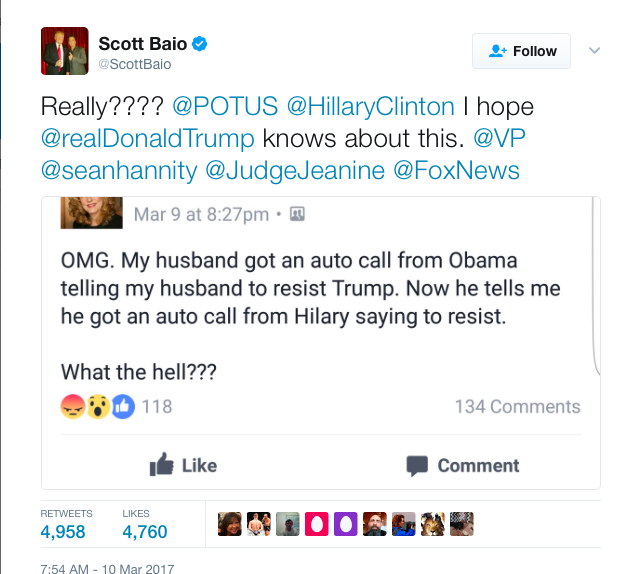 But Trump’s man, Scott Baio points out that there are folks out there that are tweeting that they have received recorded robo calls goading people to “resist” the current President…And it’s from the former President, Barack Obama. But that’s not all. 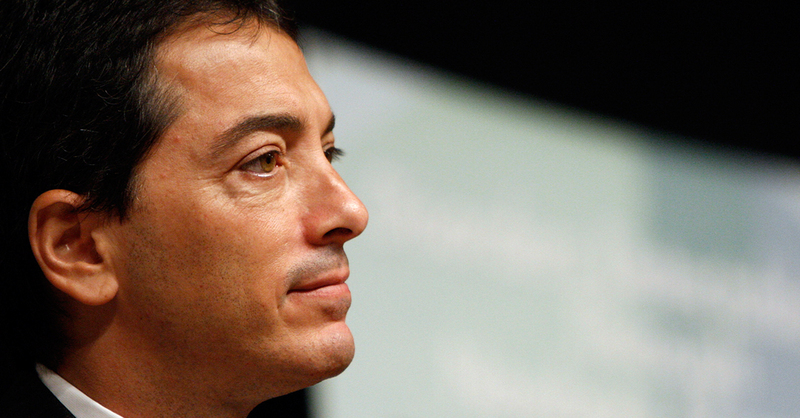 There were several other people who received unwanted and unwelcomed robo calls as well. Many of them even tweeted out their angst with the recent President…No doubt wishing that he had just rode off into the sunset and enjoyed the millions he’s made in the White House. But alas! It was never meant to be. You don’t rid yourself of a Marxist President like Barack Obama just by wishing him away. Now, I realize that any schmuck off the street can create a twitter account and spout just about any lie that could possibly be thought of, but with the aligned videos of both Lynch and Clinton calling the public to ‘resist’, It’s not a stretch to believe that Obama has been slithering back into the public sector brain with calls of opposition. The man owns a place right there in town…Like I said – he’s a Marxist. They don’t give up easily. As Trump continues to smash through the bias and hypocrisy of the left’s lap dog media, let’s be like Baio and do our best to keep things in perspective, because we tend to have such short memories as Americans. Just don’t forget any of that when the media and the left start to really hold up the Obama years as some pinnacle of excellence.